Mortgage Rates Aren’t Moving—How Will the Housing Market Respond? 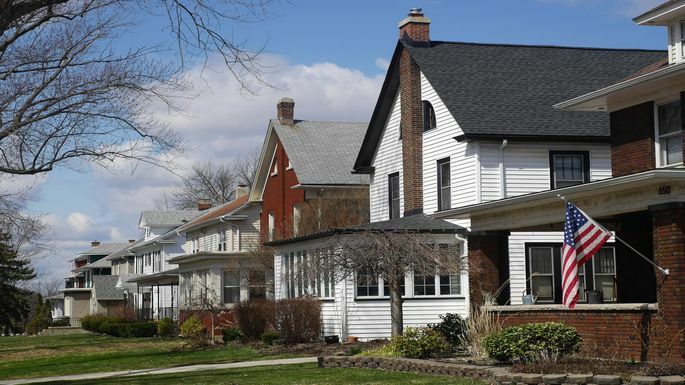 Rates for home loans were unchanged in line with a stagnating bond market, but big questions remain about the health of the housing market. The 30-year fixed-rate mortgage averaged 4.45% in the January 24 week, mortgage guarantor Freddie Mac said Thursday. It was the third-straight week in which the popular product stayed at that level. The 15-year adjustable-rate mortgage was also unchanged at 3.88%. The 5-year Treasury-indexed hybrid adjustable-rate mortgage averaged 3.90%, up 3 basis points. Fixed-rate mortgages track the 10-year U.S. Treasury note, which has bounced in a narrow range in the past few weeks, buffeted by concerns about slowing global economies. November’s pace was the slowest in 19 months and marked what NAR called a “statistical anomaly” rarely seen except during periods when tax credits expire. The last time sales fell so sharply was July 2010. Back then, the culprit was easy to spot. The rule, popularly known as “Know Before You Owe,” was an important part of the post-crisis Dodd-Frank reforms intended to protect consumers seeking mortgages. 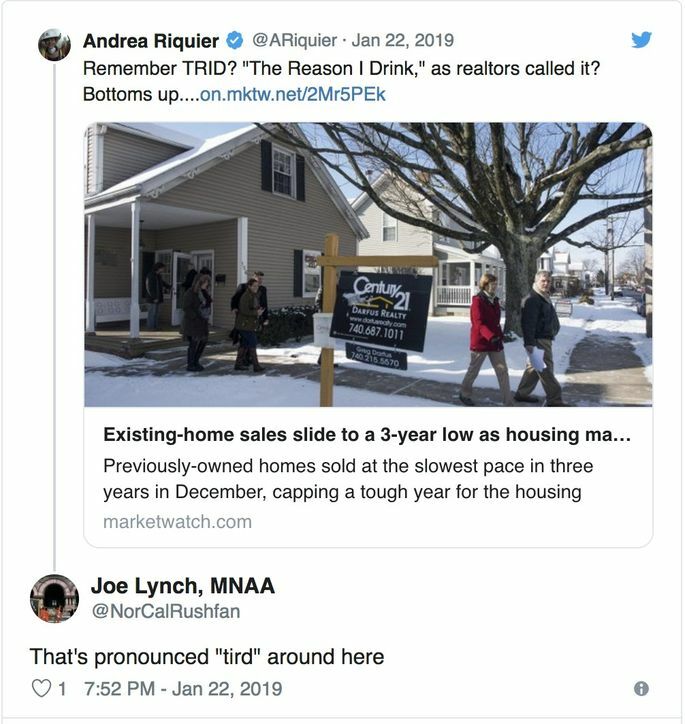 But many real-estate agents found it as unwieldy as its title: TILA-RESPA Integrated Disclosure (TILA for “Truth in Lending” and RESPA for “Real Estate Settlement Procedures Act”), all shortened to “TRID.” Many agents who saw closings delayed joked that the acronym should have been “The Reason I Drink.” Others had more, let’s say, colorful, names for it. But late 2018’s big drop isn’t so clear-cut. “Unfortunately, I don’t think we can write this off as a weather-related fluke,” said Amherst Pierpont Securities’ Stephen Stanley, without really pinpointing what was to blame. Most analysts responding to the December decline suspected it came down to mortgage rates, and pointed to a recent surge in home loan applications as rates dropped, which MarketWatch detailed last week. As previously reported, higher rates in and of themselves probably aren’t enough to quell demand. It’s more likely that some combination of rising rates, sturdy home price gains, a shaky political landscape and uncertain personal tax situations, along with the perennial problem of not enough houses to buy in the price categories where they’re needed, are the primary factors. The question is whether the housing market can overcome most or all of those headwinds in the busy spring season.